I feel like people really take postickers for granted. 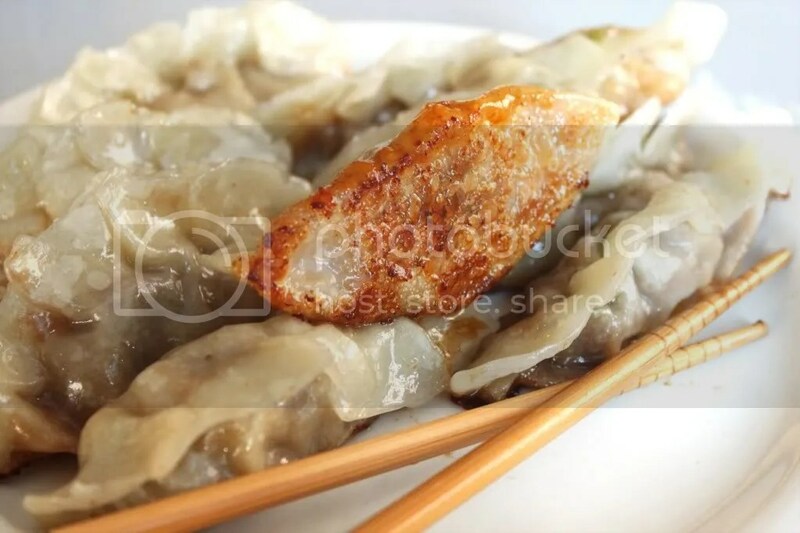 Sure they can be hit or miss sometimes, maybe the wrapper is too thick and gummy or the filling is bland but when potstickers are made well…they…are…AWESOME. I’ve had a bajillion different kinds of potstickers, dumplings, gyozas, etc. over the years and I’ve loved nearly all of them. One of the best things about potstickers is how cheap they are. An order of 6 at a a restaurant might run you $5, which isn’t bad at all BUT making them at home is even cheaper! 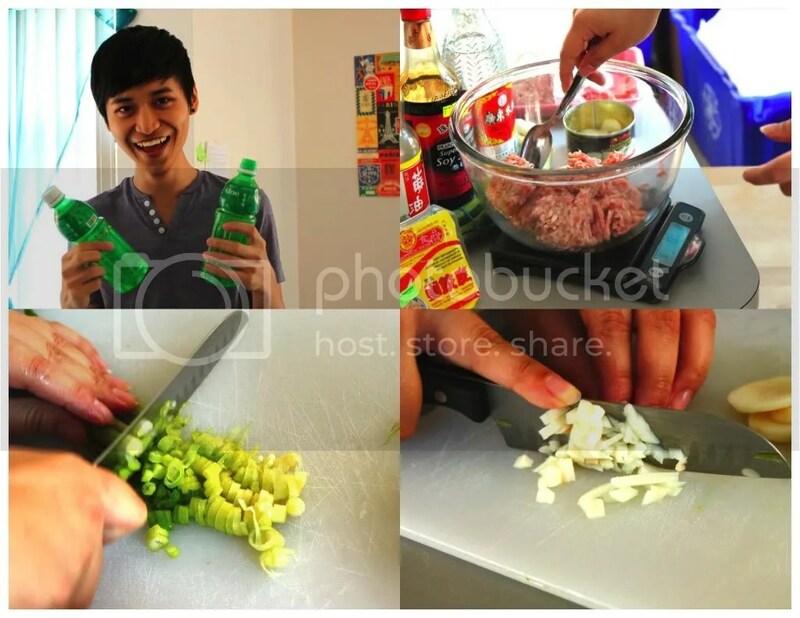 The ground pork I used for mine was about $4 and the wrappers were $2 bucks. Throw on another couple bucks to account for other flavors and such and you’ve got 26+ potstickers for around $7, considerably cheaper than the restaurant variety. Also they’re totally easy to make and definitely brag worthy. What can go wrong with delicious filling wrapped in dough, steamed, then pan fried to golden crispy perfection?? Nothing, that’s what. If you don’t like potstickers, we can’t be friends. 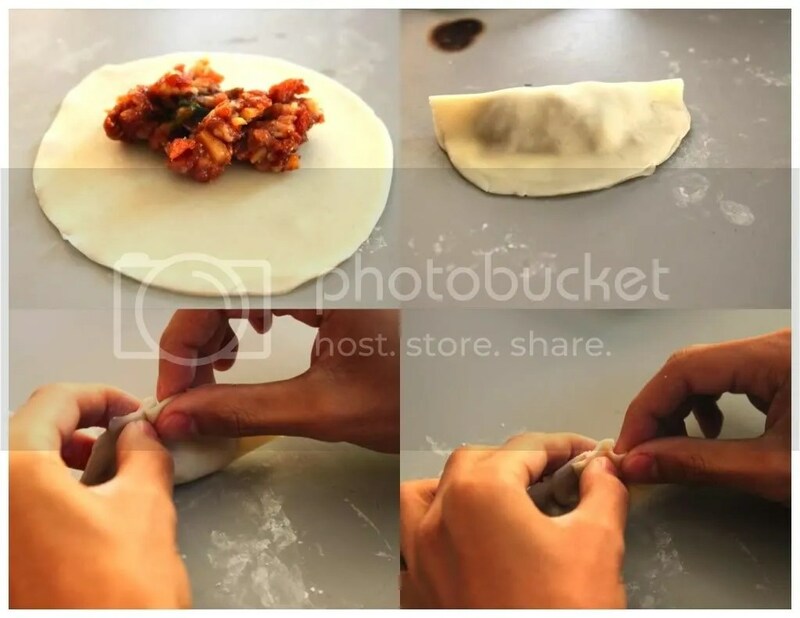 The first step in potsticker production is making the filling, which is quite simple and allows for some creativity. 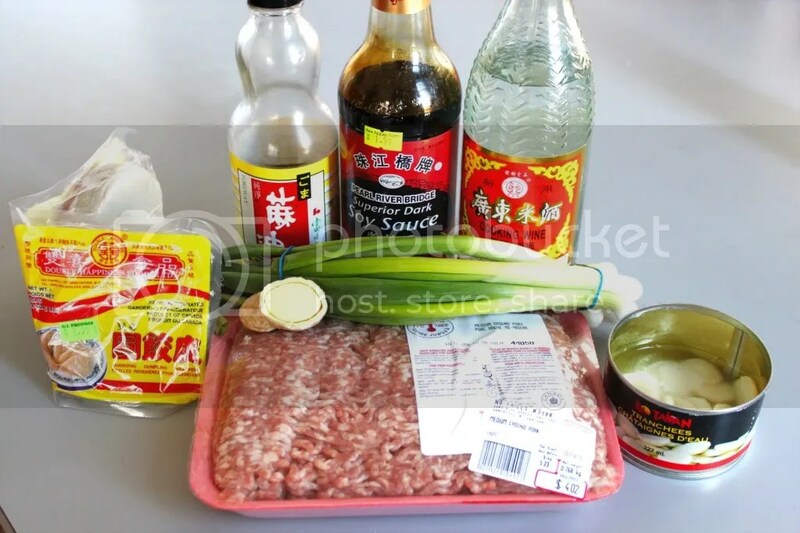 I started with ground pork and added in grated ginger, green onions, chopped water chestnuts, and a hefty combo of hoisin sauce, sesame oil, cooking wine, soy sauce, oyster sauce, sriracha sauce, and rice vinegar. YUM. Feel free to shake it up and add or leave out whatever you so desire. My filling smelled beyond delicious, which just made me that much more excited to eat the finished product. Once your fillin is all mixed and ready to roll, it’s time to start wrapping. 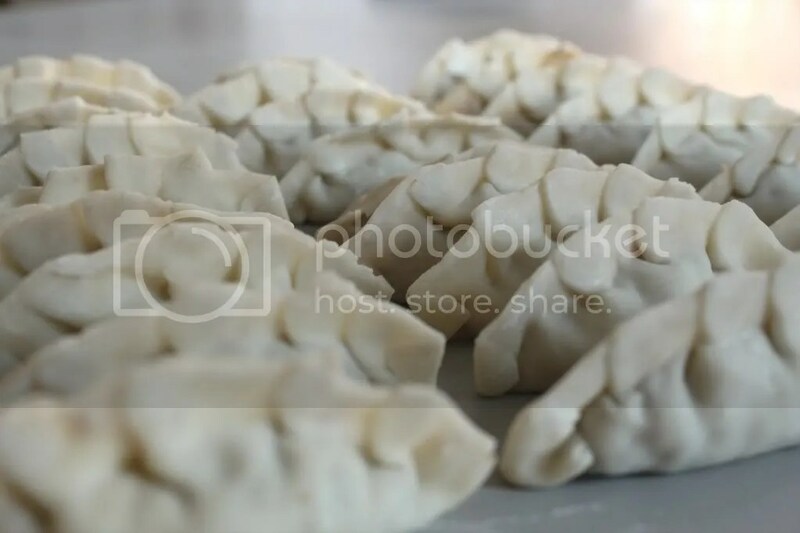 This can be a little time consuming at first, but once you get the hang of it you’ll be on the path to dumpling greatness. Be sure to have a small bowl of water or egg around to use to wet the edges. This will ensure that your potstickers stay sealed up and don’t spill their insides like a drunk high school kid on prom night. Pleating your potstickers is a nice touch but NO PRESSURE! They don’t have to look fancy to be delicious! Also if you have more filling than wrappers, have no fear! You can fry it up on its own and eat it over rice…I did and I highly recommend it! Now that we’re finished wrapping, it’s time to get cooking! 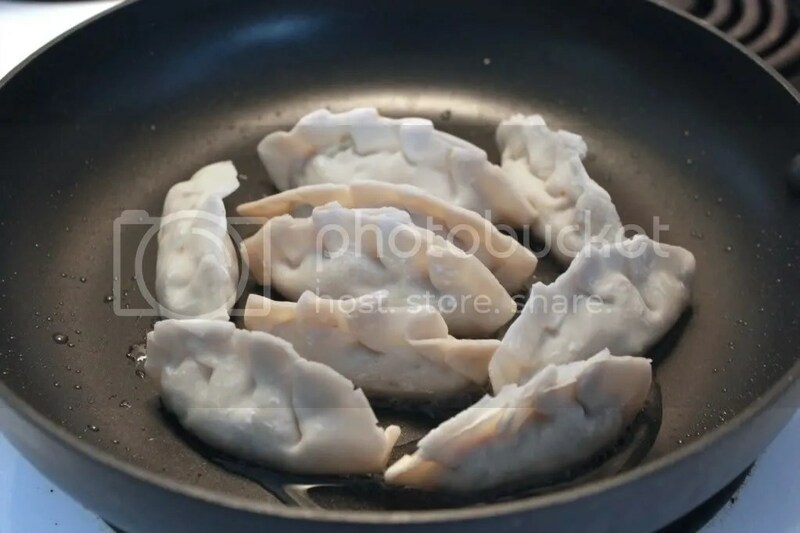 Heat up enough veggie oil to cover the bottom of a large pan and add in around 8 potstickers, enough to fill the pan but not crowd it. Let them fry for about 4 minutes or until the bottoms begin to get a bit crispy. After the bottoms begin to set, add in about a quarter cup or water (don’t have to be precise on that) and cover the potstickers for 6 minutes. After they’ve steamed for a while the wrapper will become a bit more translucent and shrink down. At this point, remove the lid. 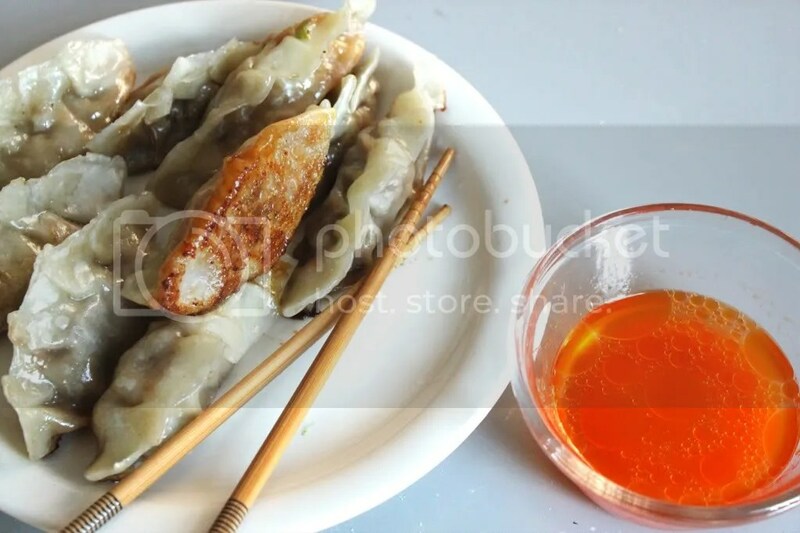 I like to eat my potstickers with a little vinegar and hot chili oil or sriracha sauce but feel free to enjoy yours with any condiment you wish. These guys freeze really well too so don’t worry about having too many leftovers, though I doubt you’ll be able to resist eating them all in the first go! Cause really, who could resist these??? 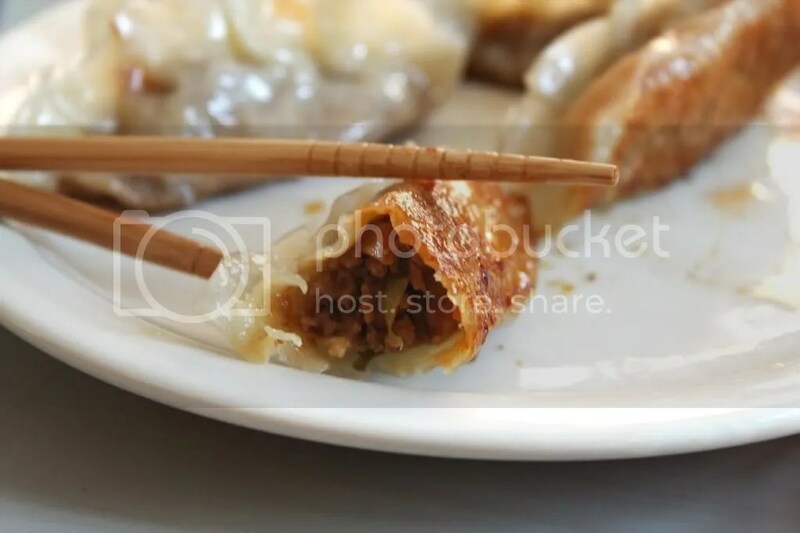 In a large bowl, combine all ingredients but the dumpling wrappers. 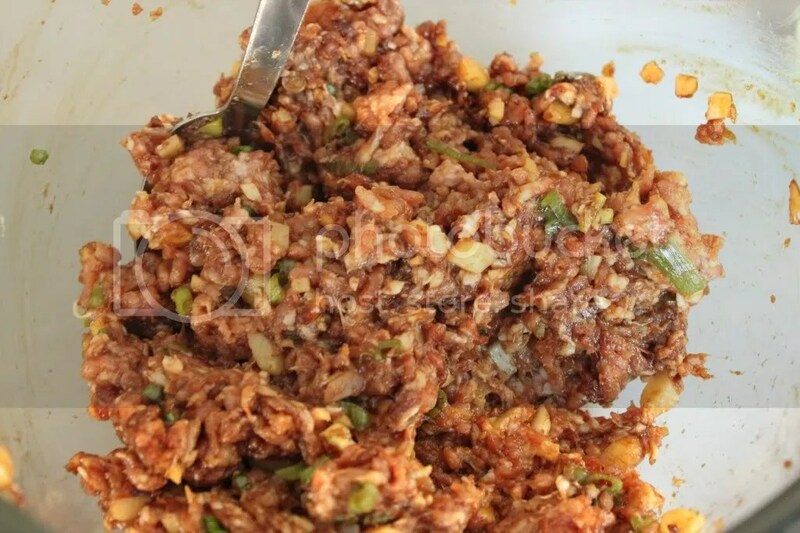 Mix well, until the pork is evenly covered in sauce and the ginger and green onion has been fully mixed in. Let marinate for at least 30 minutes. Spoon about a teaspoon of filling into wrapper and use water or egg to seal shut, pleat if desired. Once all the dumplings have been filled and sealed, heat about 2tbsp vegetable oil in a large pan. Arrange potsticks in pan, flat side down and make sure not to crowd the pan. Cook for about 4 minutes or until bottoms begin to crisp. Add ~1/4 cup water and cover pot, let steam for around 6 minutes or until wrappers have softened and shrunk. 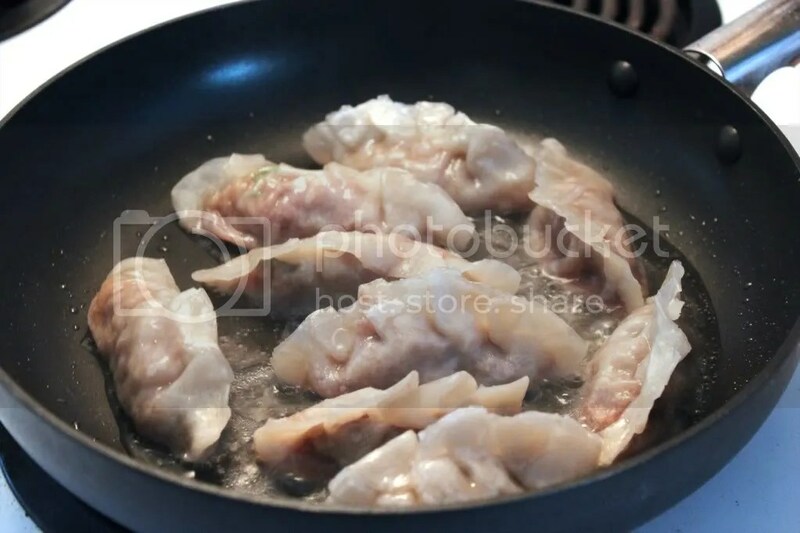 Remove lid and let potstickers cook until water has cooked off and the bottoms are a golden brown. 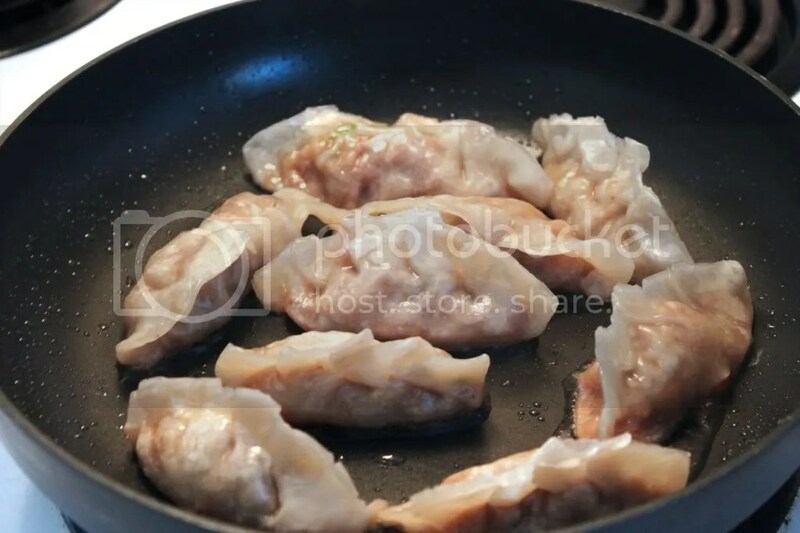 Repeat until all potstickers have been cooked or freeze extra uncooked potstickers. Serve immediately with white vinegar and hot chili oil.